Reebok community selects Rain as the No. 2 star with the most energy. HoDong is a veritable Energizer Bunny, just like his dongsaeng (junior) Rain. In fact, the only time I’ve ever seen him standing still and speechless was during his 2006 wedding, as he beheld the beauty of his bride (I almost didn’t recognize him with his mouth closed LOL). And I’ve always been comforted by how good of a hyung he seems to have been to JiHoon over the years. They’ve done so many shows together that there’s no use in even trying to count them all (Strong Heart — where Rain ripped his pants — and Golden Fishery, to name two). Congrats, HoDong, and congratulations Rain! Second place is nothing to sneeze at. We’re pleased. 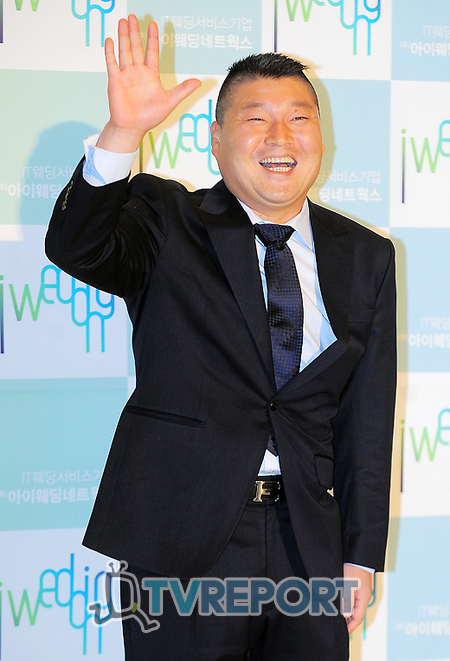 Seoul, Korea – National MC Kang Ho Dong has been elected as the celebrity with the most energy. In a survey of 1,190 members of the community café of global sports brand Reebok’s Zigtech products taken from the 11th until the 25th, Kang Ho Dong was ranked no.1 with 116 votes as the ‘celebrity with the most energy’. It is assumed that because of his background as a Korean wrestling athlete and his high energy hosting duties on many programs, including the wild, road variety program ‘1Night 2Days’, he was chosen as the top. 2nd place went to Rain (Jeong Ji Hoon). He is currently starring as a pleasant, honest, invigorating detective, showing off his usual playful yet strong masculine side. TV Personality Noh Hong Chul was picked no.3 and singer Lee Hyo Ri was no.4, being the only female celebrity chosen in the top 10. Aside from them, the top 10 included Mighty Mouse, Psy, Jang Hyuk, 2PM, Kim Byung Man and 2AM. Just this year: HoDong hosting the Strong Heart where Rain’s wardrobe malfunctions. Heheh. You can watch more of the show over on our VARIETY TV page. ~ by Cloud USA on October 28, 2010. I do enjoy watching these 2 together. YOu can tell by the way they interact that they’ve been friends for a long time and they have tons of fun. 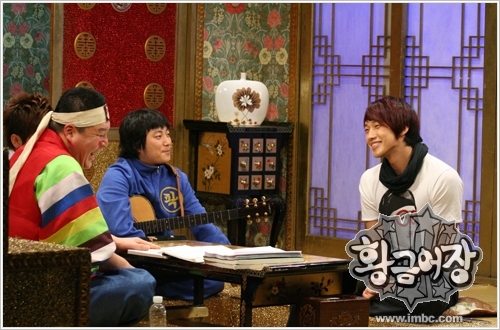 When Rain was on the show that this pic is from he was so relaxed and smiley and just laughing a lot and having fun. It was great fun to watch. Seeing Rain smile and laugh like that makes me grin… he’s just got one of those infectious smiles, doesn’t he? hahahahahahaha! I loved these shows JiHoon is so personable and they all respect each other and have fun. I crack up everytime I watch that dance number not Rain dancing (he’s GREAT!) the guy in the blue shirt! hahahahaha omg so funny. I think that is quite possibly the funniest thing ever. i am happy rain number #2 that was even bad at all beside i think rain is the KING variety show !! he rain hyung alay make a remark by his show up !